During the month of April, I'll be doing a rundown of my favorite television shows and movies of all time. If you've missed any of them, check out the links at the bottom of this post for all of the past roundups. One of my great pet peeves about people discussing television is that they frequently will say a show isn’t as good as it used to be when they haven’t actually been watching the show. We all know the types-the people who say they can’t stand The Simpsons or South Park anymore despite them not having watched them in ten years. It’s annoying, because rarely does a show of great quality dip so far that it is completely beyond reproach in its twilight years-there’s always some magnificent episode left before they pull the curtain. That being said, The Office would have been a lot higher on this list if the show hadn’t had the final two seasons. Don’t get me wrong-there are moments in the final seasons that I did enjoy (and I managed to find room for the best episode from that time period on this list), but as a whole the post-Michael Scott episodes of the show always lacked the necessity that those with him contained. They weren’t all bad (though, admittedly, most of Season 8 and all of the Robert California plot was a bust), but less is more would have been a smart decision. One of multiple episodes of the series that was extended (NBC tried a number of things when they were in the ratings basement), this was the climax of three years of will-they-or-won’t-they tension between Jim and Pam. Yes, it also contained the frightening downfall of one Jan Levinson (Melora Hardin sure rocked that part the crazier she got, even if it changed the tone of the show permanently), but the principle question was surrounding whether Jim would dump Karen to be with the love of his life. The answer was, of course, yes, and we were treated to something bizarre for the remainder of the series that we almost never see on television: a genuinely happy, content couple. It wouldn’t have been nearly as fun if we hadn’t spent years wishing and a-hoping. 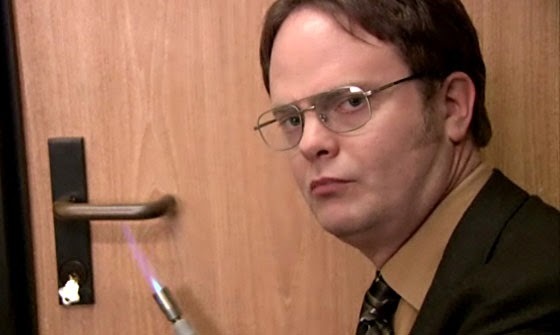 The highest-rated episode of the series (airing after the Super Bowl), this had the funniest cold open of the series, with Dwight staging one of his fake safety drills to horrifying results, the best of them being that Angela has a hidden cat at work (I’m laughing just typing about it). Stanley has a heart attack, which causes Michael to want to relieve stress at work by doing a roast of himself. This of course ends absolutely horribly, with each of Michael’s employees sparing none of Michael’s feelings after he forces them to attack him. In the end, Michael learns to fight back a bit, and is applauded for the efforts. Meanwhile, in one of the sweeter Jim-Pam plots of that season, we see Jim breaking up Pam’s parents’ marriage by saying how much he loved their daughter (it makes sense in context). It took six years, but finally there was a bit of trouble in paradise for Jim and Pam. I wasn’t really cheering for them to have some strife, but the fact that they made it so many years without a large blow-up was unrealistic. Having it be Jim, though, who spent so many years yearning for Pam, who was the one who blew up (over Pam failing to tape their daughter’s recital) was absolutely devastating, and then we got the WTF moment of the season-the appearance of the handsome boom operator Brian, clearly a major part of their lives for the past nine years, breaking the fourth wall-goosebumps! Throw in some solid movement on the Erin/Pete story (I loved the way that mirrored Jim/Pam to a tee, particularly having Andy be the Roy), and you have the best reason to keep the show on after Steve Carell’s exit. I will admit that, while the first season was occasionally hilarious, this was the first episode where it felt like they weren’t just ripping off Ricky Gervais’s original series. Michael Scott was not David Brent, but a far more complicated, decent person, even if we don’t quite get there with this episode. I loved the way that the entire office becomes uncomfortable with Michael being attacked by an outsider; you have to earn the right to take down Michael. We also got the kickoff of a few stories here, in particular the hilarious crush that Michael had on Ryan throughout the show (despite Jim being “right there!”) and a hilarious set of awards given out to each of the employees. 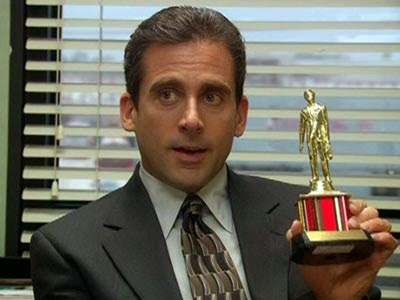 It’s a testament to how iconic this was that as Carell exited in Season 7 they felt the need to bring back a final Dundies. 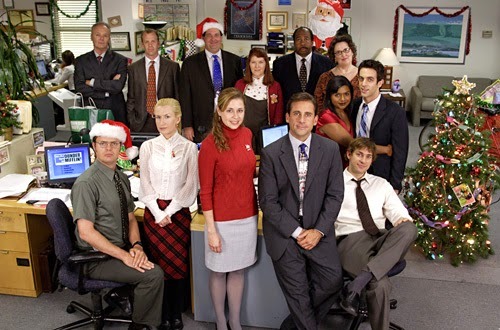 A sequel of sorts to the Season 2 episode “Boys and Girls,” this episode was less reliant on Jan and almost entirely on Michael’s relationships with the women of the office (always comic gold). After Phyllis is flashed (and Pam hilariously makes the perp look like Dwight with a moustache), Michael decides to take the women of the office shopping. Along the way, they give him hilarious advice about his increasingly psychotic relationship with Jan, and we get treated to dozens of tiny little moments. Particularly fun were Angela revealing she shops at the American Girl store because regular retailers’ clothing is too small for her, and the always wonderful Kate Flannery’s incredibly welcome driving/interactions with her minivan. As I just mentioned, I heart the interactions between the women of the office, and while both of these episodes are equally wonderful, this one gets a step higher because it was the first time we became really aware of their chemistry. Jan is running a “Women in the Workplace” seminar with all of the women and Michael is left out, with him taking this about as well as can be expected. He runs a “men in the workplace” seminar to counter, but honestly, I could have just listened to the banter from the Jan meeting for thirty minutes and been fine. Amongst the best moments were Kelly asking Jan about getting to second base with Michael (and then winking at the camera), Angela chastising Phyllis over her workplace strength, Meredith wanting to be “five…well, four and a half years sober,” and of course the devastating moment at the end of the episode where Pam, realizing that she’ll never have a house with a terrace because she’s marrying Roy and never leaving Scranton, breaking down into tears. Angela Kinsey and Jenna Fischer came up with this idea originally, and bravo to them both for breaking up the office boy’s club. There were times I felt like the Jan character completely going overboard was too much. It felt like the moments when the show started to drift away from realism and completely went into cartoon, a trait that was only exacerbated by the Ed Helms character being an entire miss for me basically after he joined the crew at Scranton (Andy was the worst character on the show, save for Robert California). That said, Melora Hardin was comic TNT in this episode that probably should have garnered her an Emmy nomination, as she went totally off-the-wall, chucking Michael’s Dundie and throwing the most frightening dinner party ever seen on television (and that includes the Red Wedding). The best moment of the episode, though, has to be Pam proclaiming “awesome” when Dwight shows up with his former babysitter/potential lover. Pam Beasley, as you probably can tell from this write-up, was my favorite character on the show. By a longshot. Michael was funny, Jim was dreamy, and Dwight was comedy gold, but what Fischer did with an “ordinary” girl who didn’t get the life she dreamt of in high school was perfection. This was never more apparent than her final walk-through-coal, where she bared her soul to the entire rest of the group and confessed that her feelings for Jim were never going away. The entire episode (with everyone competing to be Michael’s boss, which resulted in some hilarious moments for Stanley in particular) was superb, but Fischer brought this to an entirely different level. You sometimes feel when making a list like this that you have to pick a particular episode for the top. And yet, with “Casino Night,” which is everyone’s favorite episode of The Office, I think it’s worthwhile. You see Michael relatively successful outside of the office, you see the entire crew outside their element (you get a lot of new personality quirks here that would carry through the series), and finally you get that perfect moment of Jim confessing his unyielding love for Pam. The fact that it ended with a kiss and no other details-perfection. Those are my favorite Office moments-what are yours? Do you have a favorite episode?